The logo of the Florida Jukido Jujitsu Academy (sometimes “Jukido Academy” for short or FJJA among our dojo & association membership) is meant to represent not only our school and the Florida division of our association, but also the unique nature of style and history. The logo is full of meaning for the most dedicated members of our dojo family. Our school is a part of the International Kokondo Association (IKA). The IKA governs the Kokondo system of martial arts, which includes the styles of Jukido Jujitsu & Kokondo Karate. “Kokondo” refers jointly to both of these powerful systems of self-defense. Kokondo is roughly translated as ‘The Way of the Past and Present.” This is meant to reflect the spirit in which we approach both the technical facets of self-defense training but also the philosophical foundations of our martial artsl. We train in techniques and principles that are ancient but yet we apply these techniques for relevant modern situations (past & present). We follow a moral code of conduct that was prescribed by the feudal warriors of Japan, known as Bushido. However, we approach Bushido with an updated perspective that is relevant for our modern times and can easily be applied by parents, working professionals, or school children. As such, this system of philosophy is not an out-dated relic of feudal era Japanese samurai. We pride ourselves in following the traditions and etiquette of authentic martial arts in a modern time for improvement of our practitioner’s life both inside and outside of the practice of Kokondo. Kokondo is also in many ways a system that values not only a balanced perspective of the ‘past and present’ – but also an appreciation for cultures of both East and West. The arts of Kokondo (karate and jujitsu) are Eastern in origin (footnote 1), but the actual “style” of Kokondo was developed in the West (footnote 2). Kokondo draws from this balance of history and culture. Our school emblem draws from the above referenced appreciation and blend of past and present, along with east and west. Although straightforward in presentation, the emblem of our dojo preserves and highlights these dual natures (past/present & east/west). The dominant presence within the logo is the word Jukido. The word itself is Japanese, which is usually translated to mean “The Way of Gentle Flowing Power.” Although the word is Japanese, it is written in romaji (the use of the Latin Alphabet to write the Japanese language and characters). At the same time, the word is written in the brush stroke style that is typical of Japanese calligraphy. In this way, it reflects the culture (Eastern – Japan) and time (ancient/past) in which the art was born. At the same time it reflects the time(present/now) and culture (western) that this particular system of jujitsu was developed under its founder – Shihan Paul Arel. Today our dojo teaches both of the Kokondo martial arts: Jukido Jujitsu and Kokondo Karate. However, at our founding the dojo was exclusively a Jukido Jujitsu dojo. Although Kokondo karate is taught at our dojo these days, the primary emphasis remains on the jujitsu art of Jukido. It is for these reasons that the name ‘Jukido’ is highlighted (as opposed to umbrella term “Kokondo”). The rising sun that appears in the logo pays dual tributes. It is a tribute to the history and culture of the art – the land of the rising sun (Japan). Simultaneously, it pays tribute to our current home in the “sunshine state” as the Florida branch organization of the International Kokondo Association. Thus, the rising sun reflects the history, culture, and tradition of both our ancient martial arts roots as well as the current culture/location in which we continue to cultivate these arts. The tagline “Martial Arts for Realistic Self-Defense” seems simple enough, however; a full explanation as to the importance of its inclusion in our logo is necessary. In past times when one said he was practicing “martial arts” the assumption was that one was studying self-defense – those two terms were interchangeable. Unfortunately, today most people associate the term “martial arts” with a type of sport. This is partly due to media, TV, and movies – but mostly due to the dramatic shift in the focus of many individuals & schools who in the past studied martial arts for their original purpose personal protection in real situations. Most schools today do not focus on self-defense at all or will list “self-defense” as one of the items they touch on from time to time, along with the “ marketing menu” of options a customer can choose from (karate, kung fu, judo, tai chi, sambo, fitness, exercise, AND self-defense…?). Through our logo we represent that we are authentic in our approach (practicing martial arts for practical self-defense and not as a form of sport) and thus focus exclusively on the application of real martial arts techniques in present day realistic self-defense situations. 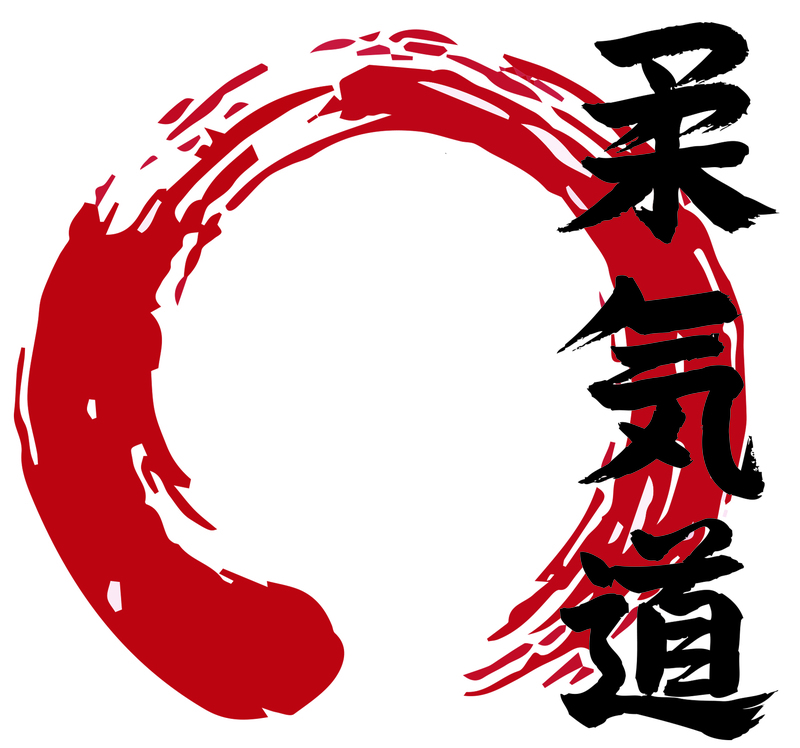 The logo was the concept of FJJA Chief Instructor, Sensei George M. Rego – a direct student of Shihan Paul Arel (founder). The logo was further developed and was ‘put to life’ by Ms. Kim Fitzgerald, a student of Sensei Rego and Jukido Jujitsu Nidan (2nd degree black belt) and masterful graphic designer. The arts of Kokondo include: jujitsu, karate, and a variety of weapons systems (kobudo). The arts of Kokondo are unquestionably primarily Japanese, with additional influence from a variety of Far Eastern countries, including Okinawa and China. The unique umbrella system of Kokondo, which practices primarily Japanese martial arts, is a system that was developed and cultivated by its founder in the United States. It has now grown to be a truly international system of jujitsu and karate.